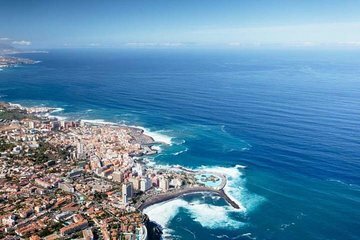 Spend a day in the city of Puerto de la Cruz in the north of Tenerife. This tour offers the freedom of exploring the city's attractions independently with the convenience of round-trip transport by air-conditioned coach directly from your hotel. After getting dropped off, the time is yours to explore such sites as Plaza del Charco, the Botanical Gardens, Paseo de San Telmo, Playa Jardin, and the hermitage of San Telmo. Thoroughly enjoyed this tour, following others comments about it being a long time in the city without a map, i had plotted out two possibilities for my day and had a map at the ready. Bus driver was great and he clearly explained pick up point. Too much time in the city without a map and a tour guide. The shopping area was terrific. In my opinion this should be called a shopping trip and not given so much time between drop off and pick up.